Despite only lasting 13 episodes, the Planet of the Apes TV Series was a phenomenal smash in the UK. Likewise, newcomers Starsky and Hutch would have a lasting popularity in British livingrooms. 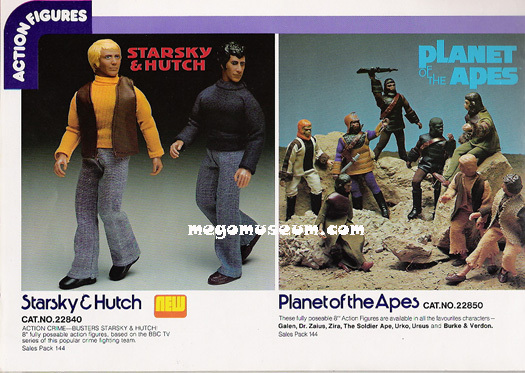 Palitoy changed the duo's wardrobe slightly and added guns in the two pack.